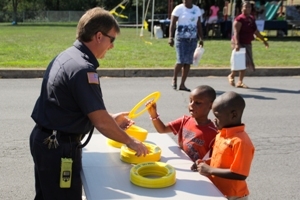 National Night Out is a community-police awareness-raising event in the United States, held the first Tuesday of August. 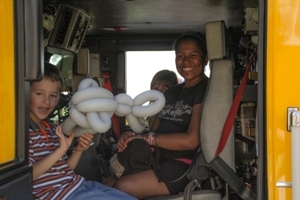 The event has been held annually since 1984 and is sponsored by the National Association of Town Watch in the United States and Canada. 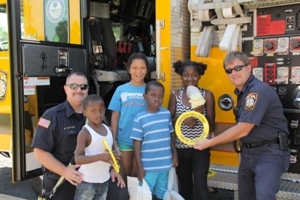 The event is meant to increase awareness about police programs in communities, such as drug prevention, town watch, neighborhood watch, and other anti-crime efforts. 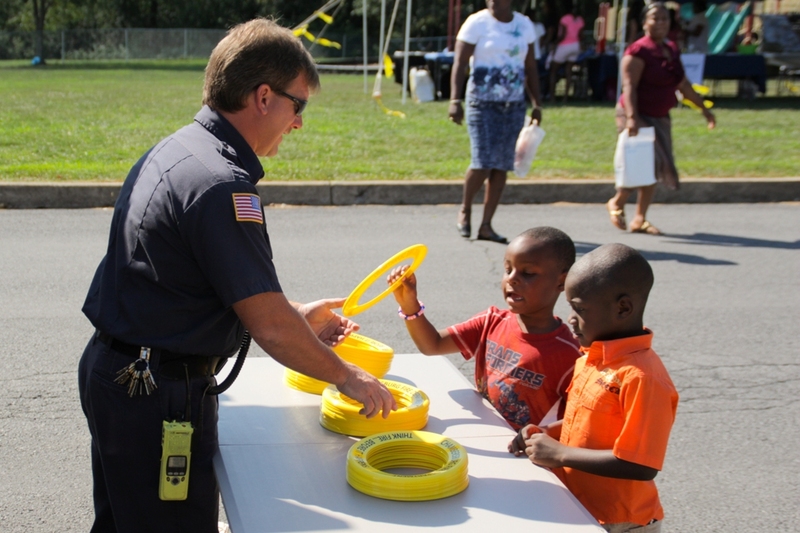 Like the thousands of other communities in the U.S. that held their NNO events yesterday, Chambersburg’s got underway at 3:30 p.m. The festivities started with a group walk through the housing authority streets led by Police Chief Dave Arnold and Mayor Darren Brown. 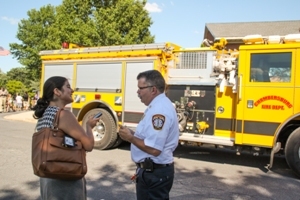 The Chambersburg Fire Department, showing our solidarity with the police department, brought Engines 1-2 and 1-4 and Ambulance 1-7. 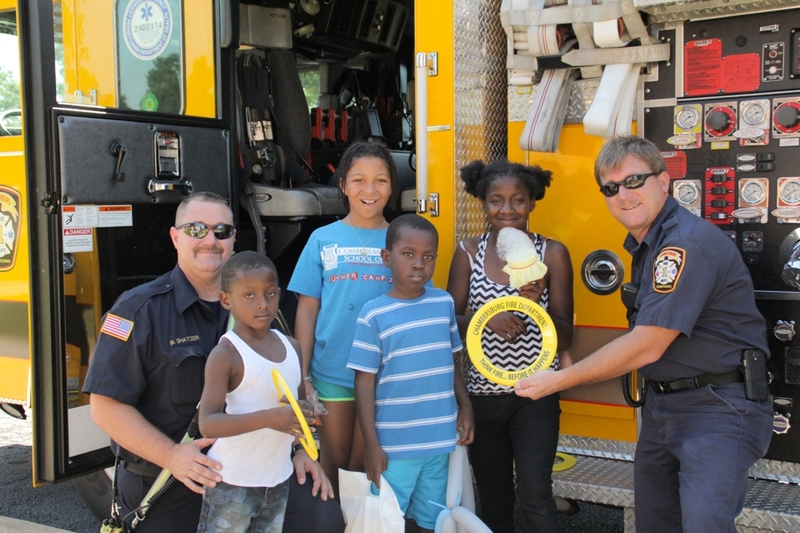 Under the watchful eye of the neighborhood kids were Captain Jackie Umberger, Firefighters Miller, Himes, Shatzer and Pryor who gave out and field tested CFD frisbees. Photos are courtesy of CFD Photographer John Irwin.